We’re only eleven days into 2019 but we could already have what may be one of the year’s most epic collaborations. 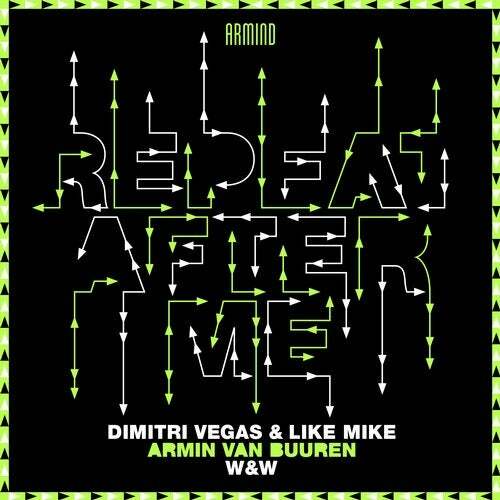 For the first time ever, dance music colossals Dimitri Vegas & Like Mike, Armin van Buuren, and W&W teamed up to produce an absolute mammoth of a track, ‘Repeat After Me‘. The best thing about this release is the three distinct characteristics that unfold throughout. There’s the iconic big room sounds from Dimitri Vegas & Like Mike, the smash mouth, hard hitting trance from W&W & Armin. Dimitri Vegas & Like Mike previously teamed up with Armin to deliver ‘Ready To Rave’ and ‘If It Ain’t Dutch’. Meanwhile, Dimitri Vegas & Like Mike also collaborated with W&W in the past producing the Tomorrowland 2014 anthem ‘Waves’ among others. If you heard Armin van Buuren’s Untold Festival set this summer then you might recognize this track. You’ll certainly start to hear more and more of this banging tune, as its set to be a mainstay at clubs & festivals around the world. Listen to the track and watch the music video below and let us know what you think.